Dr. Burwell G. Abernethey, physician, was born April 13, 1844, in Marengo County, the son of Rev. Thomas Smith Abernathy and Ellen Abernethy, natives of Tennessee and Alabama, respectively. He was prepared for college but at the outbreak of the War of Secession, although but sixteen years of age, he volunteered and entered the C. S. Army, serving as a private, He enlisted in April 1862 in Co. A. 43 Alabama Infantry. And served until six months previous to the close, when he was appointed brigade assistant quartermaster, a position he held until the surrender. In 1862, he served in the Campaigns in Kentucky and was wounded in his hand in 1863. He was discharged August 1863. Returning home in 1865, he taught school. 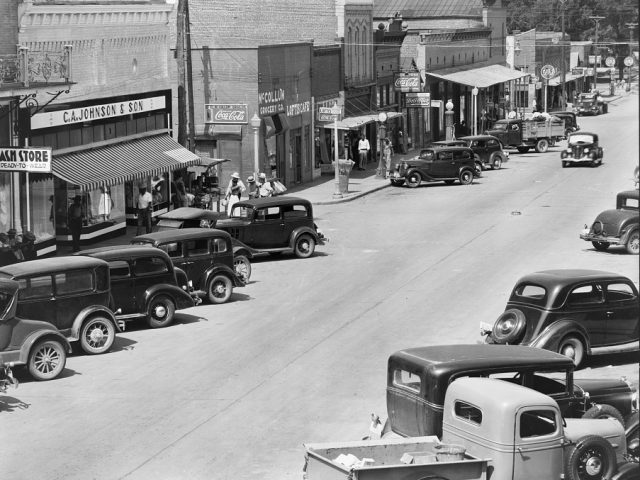 He later was a cotton buyer for Mr. R. M. Robertson, and drug clerk. 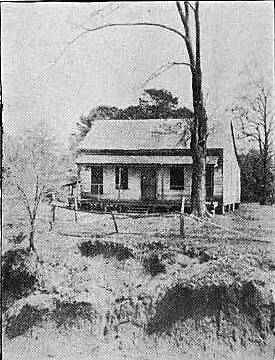 He began to read medicine, privately, becoming so well grounded in the principles that he began to practice the profession in Hale County. He took a medical course at the Southern University, Greensboro, later entered the College of physicians and surgeons, Baltimore, Md., from which he graduated in 1880. He located in Birmingham and in association with his brother. Dr. J. C. Abernethy continued a successful practice. Dr. B. G. Abernethy married November 7, 1867, Miss Elizabeth Ruffin Cocke, (b. April 1848 in Alabama -d. 1935 Orlando, Orange Co., Florida) daughter of John Cocke of Hale County, Alabama. 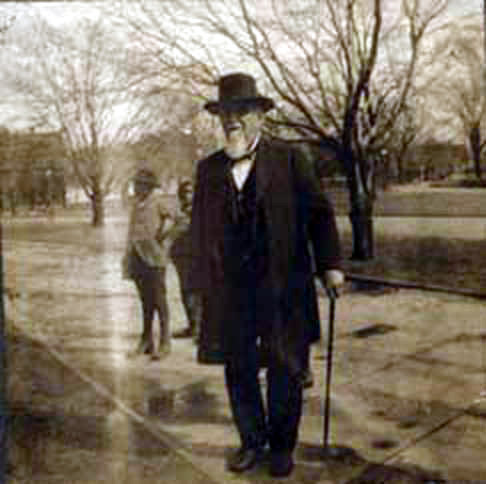 Dr. B. G. Abernethy moved to Tampa, Florida around Nov. 1886. He died there July 30, 1903 and is buried in Myrtle Hill Memorial Park. His wife continued to receive his CSA pension. I am the widow of Burwell G. Abernathy, deceased who departed this life on the 27th day of July, A.D., 1900, in the county of Hillsborough, in the State of Florida. 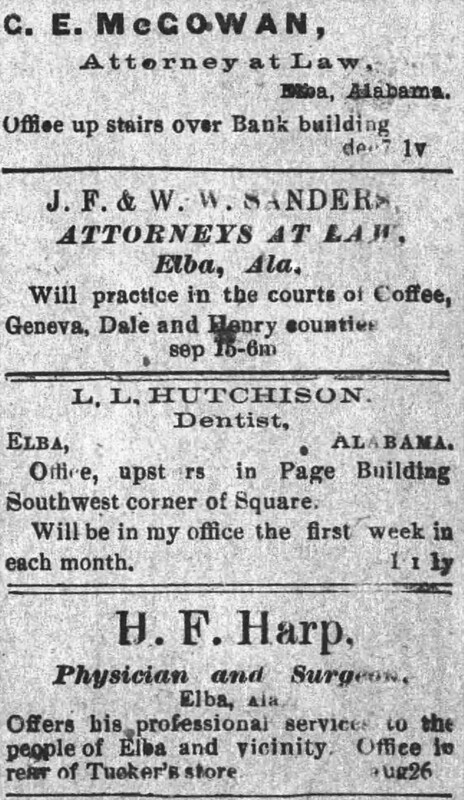 I was married to him on the 12th day of November, A. D., 1867, in the county of Marengo, in the State of Alabama. I have not remarried since the death of my said husband, Burwell G. Abernathy. My husband, the said Burwell G. Abernathy, enlisted and served in the military service of the Confederate States, during the war between the States of the United States and he did not desert the Confederate or State service. I have been a resident of the State of Florida for ten consecutive years prior to the date of this application, and that I am not receiving a pension from any other State. Before me, B. M. Robinson, Clerk of the Circuit Court in and for said County and State, personally came Elizabeth R. Abernathy, who, being by me duly sworn, deposes and says that she is the applicant named in the foregoing petition and that the statements therein made are true. Sworn to and subscribed before me, this 18th, day of December, A.D., 1907. 1. What is your name, and where and when were you born? Near Greensboro, Ala. April 15, 1848. 2. Are you the widow of Burwell G. Abernathy. 3. When and where were you married? Apr. 12th, 1867. Jefferson Marengo County, Ala.
4. When and where did he die? Died near Tampa, Fla. on 27th, July 1903. 5. Have you remarried since the death of your husband? I have not. 6. When and in what company or organization did your husband enlist during the war between the States? In 437 Ala. Infantry co. H in April, 1862. 7. Did he desert that service? No. 9. How long have you resided in this State? Twenty-One Years. 10. From what date have you continuously resided in this State? Since Nov. 1886. 11. Have you lived in any other State than Florida? Yes. Born in Ala.
12. If you answer yes, give name of the State or States and when you resided there. Born in Ala, but resided in Ala. until I moved to Florida in Nov. 1886 and have resided here every since that date. 1. 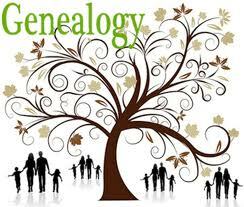 What is your name and where do you reside: William S. Walston and Quintus G. Adams both of Lindau, Alabama. 2. How long have you known the applicant? Q. G. Adams knows him for four or five years. 3. Where does she reside and how long has she been a resident of this State? Orlando, Florida, about twenty years from correspondence with her husband. 4. Were you acquainted with her husband? We were both acquainted with him. 5. Where and to whom was she married? She was married to Burwell G. Abernathy. Married in Jefferson, Ala.
6. Is he dead? If so, when and where did he die? Her husband is dead, died in Tampa, Florida. 7. Was he a soldier or sailor in the State or Confederate service during the war between the States? He was a soldier. 8. When did he enlist and in what organization? He enlisted in April, 1862 in Co. A– 43 Alabama Infantry Vol. 9. When was he discharged and for what cause? He was wounded in the hand in 1863 and did not ________(?) to the Army or rather to our Command. 10. Where and in what campaigns did he perform regular military duty? He was with us in Campaigns in Kentucky in 1862. 11. Were either or both of you members of the same Company or Regiment with him? We were both in his Company and Regiment. 12. Did he desert the Confederate or State service? He did not. 13. Were either of you with the command when it surrendered? Yes. 14. Was Burwell G. Abernathy the husband of the applicant, present when the command surrendered? No. 15. If not, where was he? He had been previously discharged. 16. When did he leave his command? In August, 1863. 17. Have you any personal or financial interest in the granting of this annuity to the applicant? None whatsoever. I, Charles B. Cleveland, Clerk of the Circuit Court in and for said County and State, do hereby certify that the witnesses named in the foregoing affidavit are reliable and trustworthy persons, and their statements are entitled to full faith and credit. this 6th day of august, A.D., 1907. We, the members of the Board of County Commissioners in and for Orange County, Florida, do hereby certify that at a meeting of the said Board of County Commissioners, held on the 6th day of January, A.D., 1908, the foregoing application for an annuity in behalf of Mrs. Elizabeth R. Abernathy was presented to the said Board and the same was thereupon duly investigated. We do further certify that in our opinion the said application is just, and should be granted. ________________ , resident of Orlando, County of Orange, State of Florida, who being duly sworn according to law, makes the following declaration in order to obtain a pension under the provisions of the General Pension Laws of Florida as amended by Chapter 8400, Acts of 1921. ________________, 186____, in account of close of war. For proof of service refer to application No. 6320, filed in Comptrollers Office. Never drew a pension. That she was lawfully married to the said Burwell G. Abernathy under the name of Elizabeth Ruffin Cooke, in the County of Marengo, State of Alabama, on the 12th day of November, 1867, and that she was not divorced from him and that she has not remarried since his death, which occurred on the 27th day of July, 1908, in the County of Hillsborough, State of Florida, except as hereinafter stated. That she is a resident of Orlando, Orange County, Florida, and has continuously resided in the State of Florida since 29th day of Nov., 1886. That she was heretofore granted a pension from the State of Florida under Certificate No. _____. That she is not a pensioner of any other State. That her Postoffice address is Orlando, County of Orange, State of Florida. Sworn to and subscribed before me this 30 day of Aug., A.D., 1921. I hereby certify that the above declaration, etc., was made known and fully explained to the applicant before swearing, and that I have no interest, direct or indirect, in the prosecution of this claim. B. W. Robinson, Clerk, Ct. Ct.
____________ on the ___ day of ________, A.D., 19____. of_______, A.D., 19¬¬__ and that the ceremony was performed by ______________. ____________ and _____________ which occurred at __________ on the ____ day of_______, A.D., 19__ in the County of __________, State of Florida, and that the ceremony was performed by _______________. Sworn and subscribed before me this ____ day of _________., A.D., ______. We, the undersigned, County Commissioners in and for the County of Orange, Florida, do hereby report that at a meeting of the Board of County Commissioners held this day, the foregoing application of Mrs. B. G. Abernathy for a pension under the Laws of Florida, was investigated by us, that we are satisfied that the applicant has been a bona fide citizen of the State of Florida for eight years preceding the date of this application, and that the representation made in the petition and affidavits are true, and that a pension should be granted the applicant. Witness our hands this 7th day of August, , A.D., 1921. NOTE: All Blanks must be filled out. All information required must be fully and accurately given. Applicants may use either form (a) or (b) for proof of marriage, or she may attach certified copy of marriage certificate. Applicant may attach certified copy of official record of husband’s death in lieu of form (c) if preferred. Where the applicant for pension has remarried since the death of the soldier husband, upon whose service she is applying for a pension, she must establish the fact that she has again become a widow in the same manner as prescribed in above paragraph, or if divorced, she should forward certified copy of decree granting a divorce annulling such marriage. These Blanks to be filled in by Pension Board. Burwell G. Abernathy, whose widow is applying for a pension under the Laws of Florida. Claims to have been a member of Company A 43rd Ala. Volunteers Inf., Confederate States Army, and to have been wounded and reentered the service in same command in 1863 in the Comissary Department. Please furnish me with the record of this soldier. must roll for Jan. & Feby 1865. Last on file is shown present. No captures, parole or later record for him found. Regth. Ret. for Dec., 1862 shows him sent to Hosp. at Knoxville, No. 1. Pvt. & Cpl. Co. A. 43rd Regt. Ala. Inf., C.S.A. enlisted at Marengo Co. Mar. 11, 1862. Appomattox Court House, Va., Apr. 9, 1865. Capt. & Asst. Surg. 32nd Regt. Ala. Inf., C.S. with the information that Quintus S.
Adams, Pvt. & Capt. Co. A. 43rd Regt. Ala. Inf. House, Va., Apr. 9, 1865. Before me, J. W. Bowmer, a Notary Public in and for said State & County personally appeared J. C. Abernathy, M. D. who being by me duly sworn deposes and says the following is true and correct. That he previously knew B. G. Abernathy, that he served in the Tennessee army – do not remember the regiment, was wounded. One of his hands torn to pieces by gunshot wound and sent home on furlough and upon his recovery, rejoined his command and was detailed and assigned to the Commissary Dept., in which capacity he served until the surrender of the Army in the Spring of 1865. Surgeon 32 & 58th Ala.& 43rd Ga. Sworn to and subscribed before me this 9th day Dec. 1907. J. M. Bowmer, N.P. age being now over sixty. I further represent to the State Board of Pensions that I am not receiving a pension from any other State. IN WITNESS WHEREOF, I have hereunto set my hand this eleventh day of September, A.D., 1907.